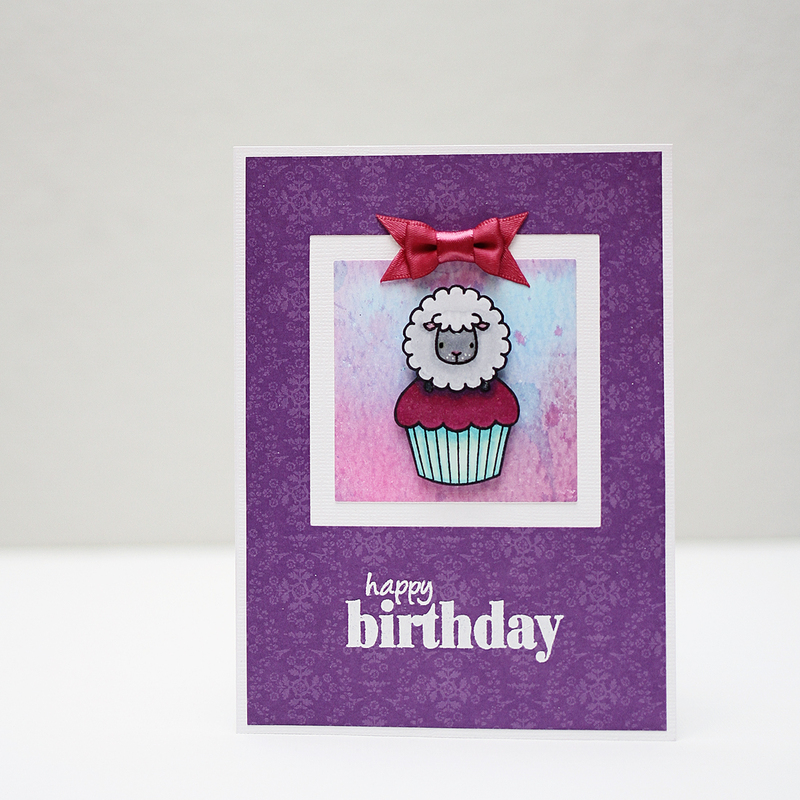 I’ve got another card post for you…told you I’m obsessed! 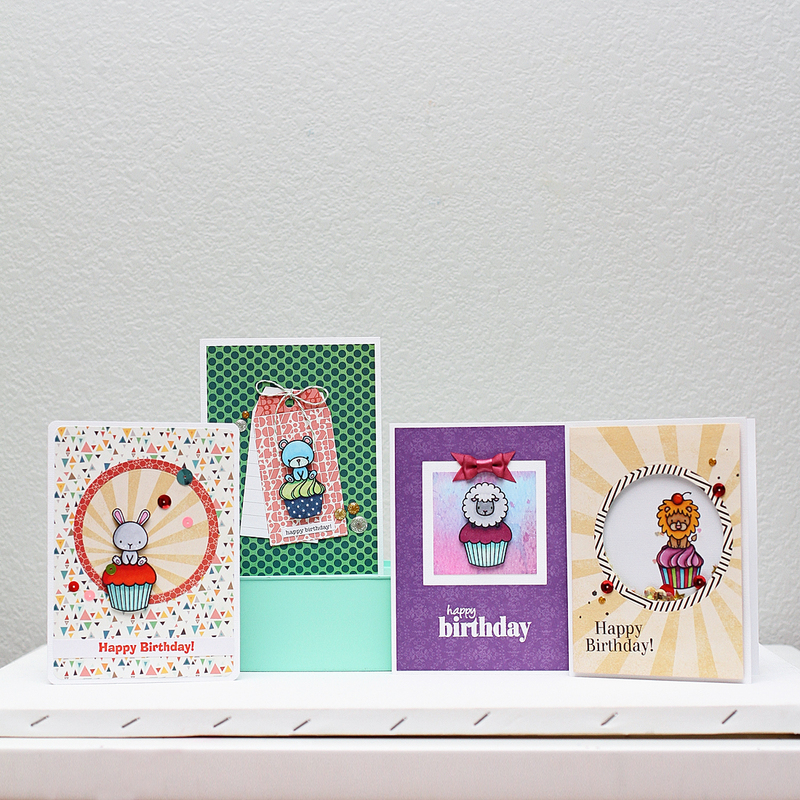 Here are 4 cards that I created using these stamps. 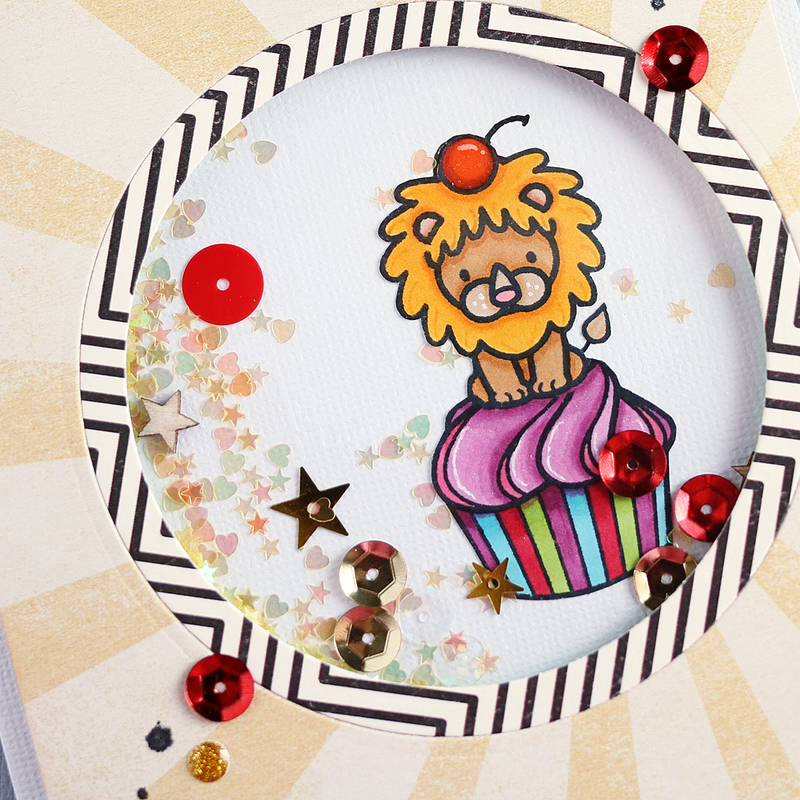 First up is a little shaker card, featuring the cute little lion! Supplies used: Mama Elephant Carnival Cupcakes stamp, Memento tuxedo black ink, Copic markers, Basic Grey capture 6×6 paper pad, Stephanie Bernard for Sizzix Happy Birthday stamp, Spellbinders circle dies, Studio Calico gold enamel dots and star wood veneer, Martha Stewart Iridescent Hearts & Stars Glitter Set, glossy accents, and sequins found at JoAnn. 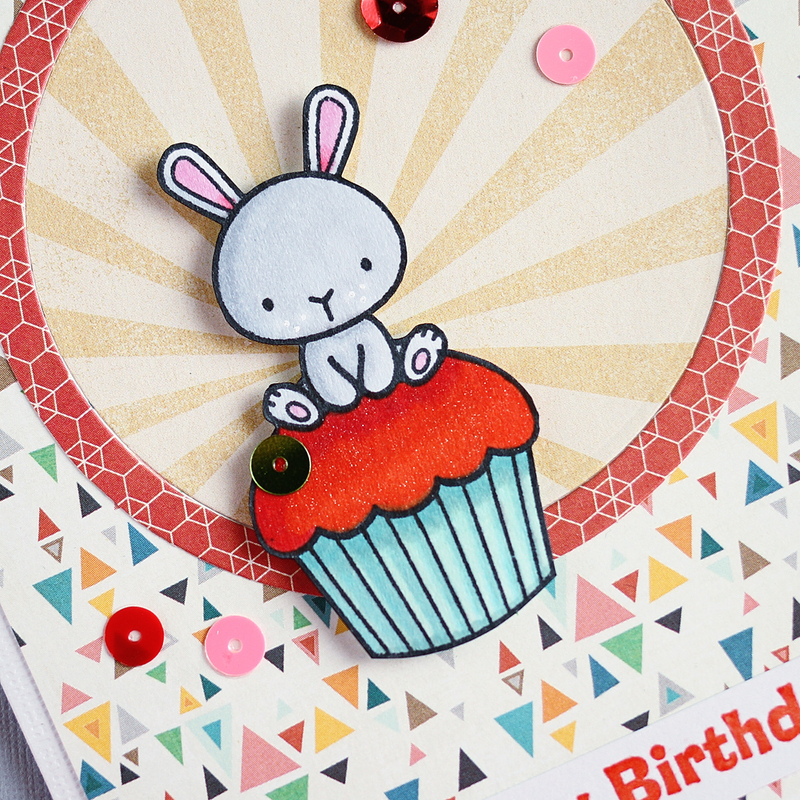 Supplies used: Mama Elephant Carnival Cupcakes stamp, Copic markers, Basic Grey capture 6×6 paper pad, Memento tuxedo black ink, Great Impressions Happy Birthday wooden stamp, American Crafts Zing clear embossing powder, Spellbinders circle dies, and sequins found at JoAnn. Supplies used: Mama Elephant Carnival Cupcakes stamp, Copic markers, older K & Co paper pad, Memento tuxedo black ink, Inkadinkado Happy Birthday wooden stamp, American Crafts Zing white embossing powder, Spellbinders square dies, Maggie Holmes bow, Tim Holtz water color paper, Tim Holtz distress inks. 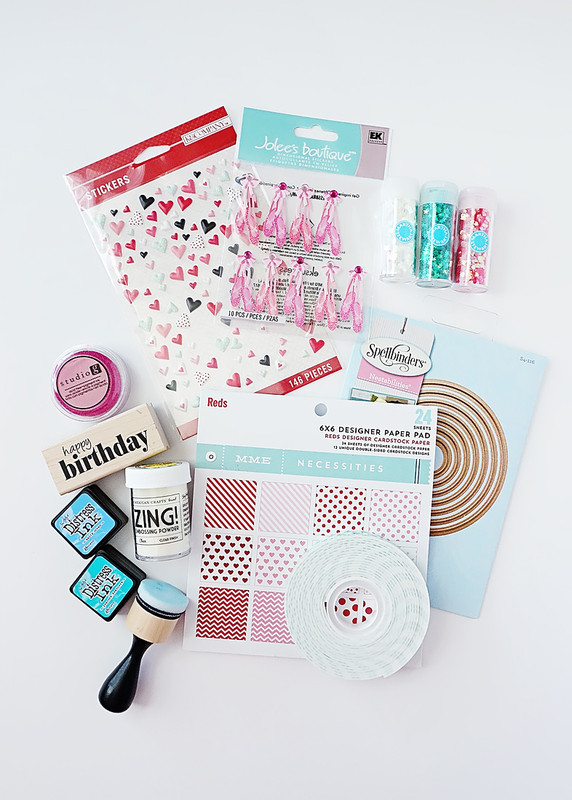 Supplies used: Mama Elephant Carnival Cupcakes stamp, Copic markers, Basic Grey capture 6×6 paper pad, Memento tuxedo black ink, Teresa Collins happy birthday sticker and enamel dots, Sizzix tag dies, and Martha Stewart twine. my very first shaker card! I put together my first shaker card! I have to say, I’m pretty proud of myself! 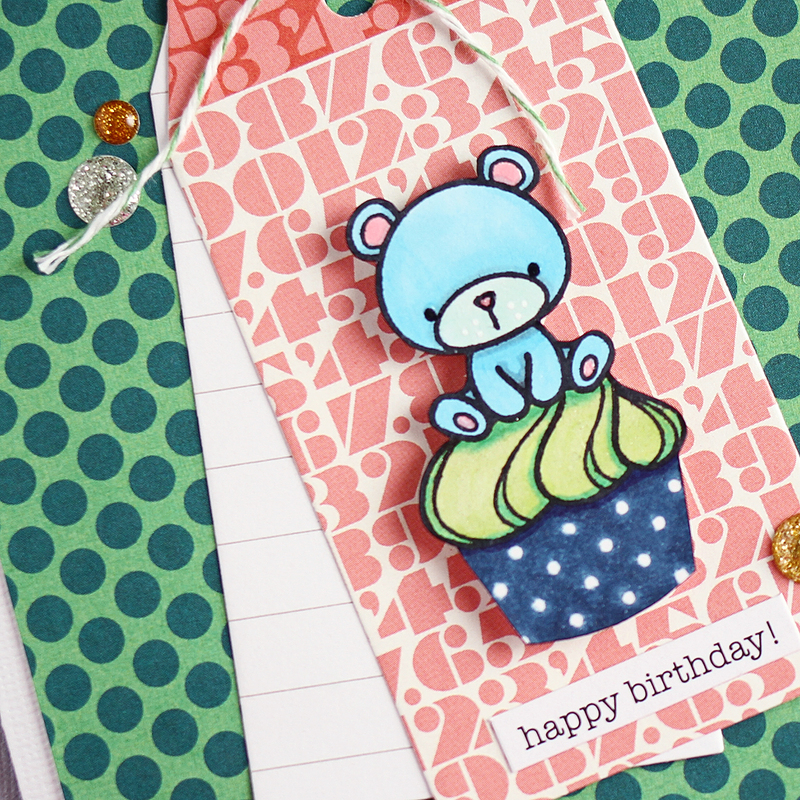 As mentioned in the previous post, I have become obsessed with card making! 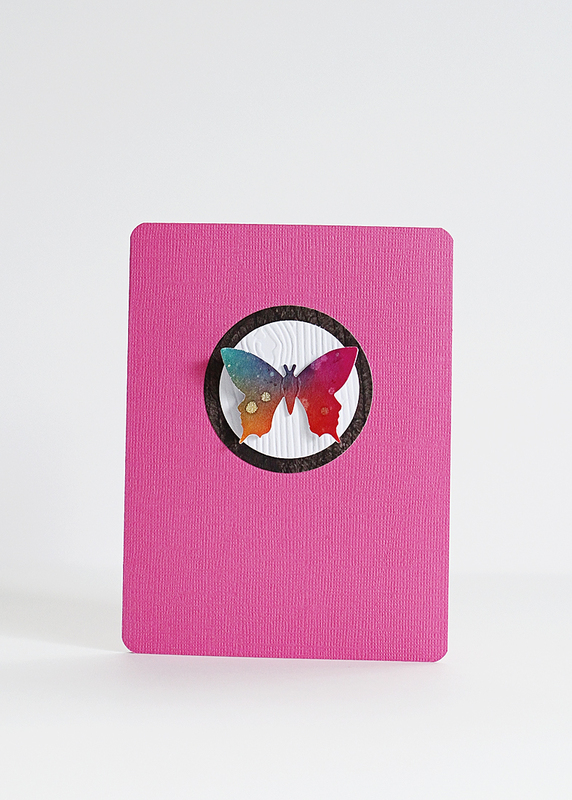 Shaker cards seem to be the fad right now, and I just had to give it a go! 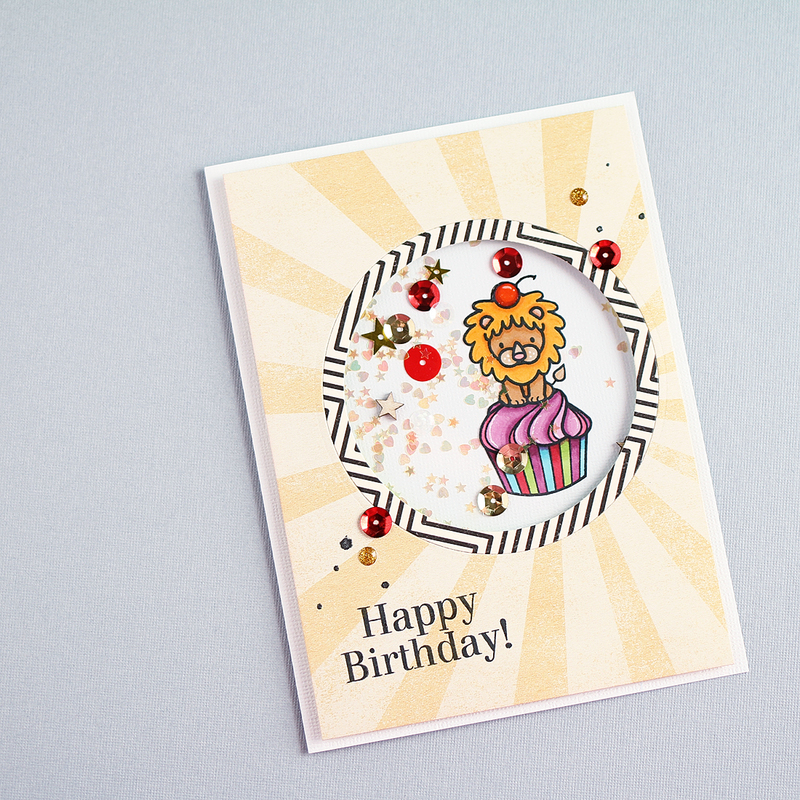 It’s my first one, so I kept it pretty simple…die cut circle, some distress ink blending for the background, patterned paper, and a heat embossed sentiment. Here it is! 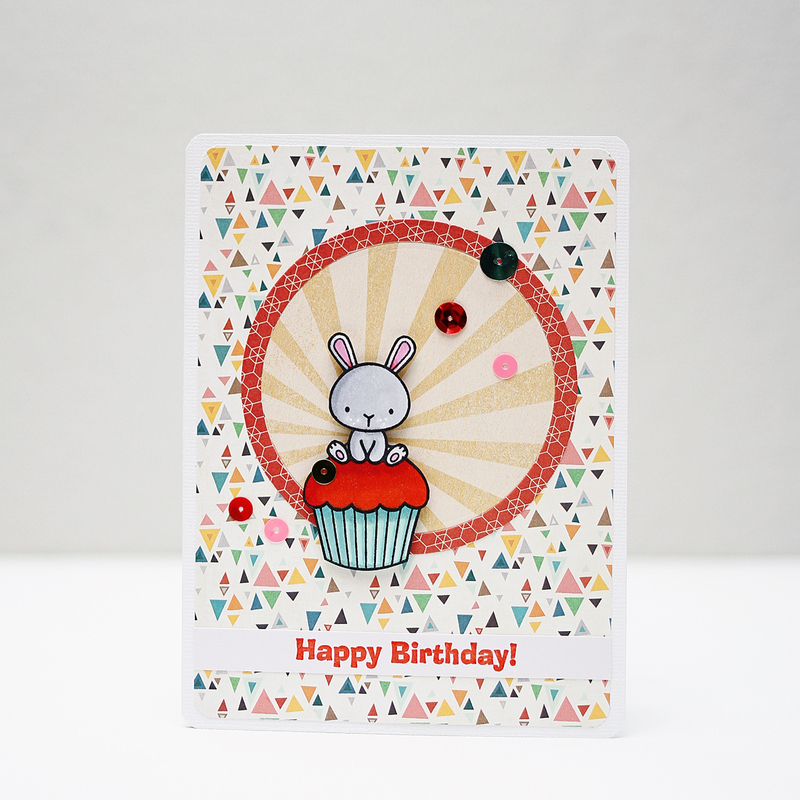 A birthday card for a little girl who lives for dancing! And here is my supply list in photo form, since pictures speak louder than words. 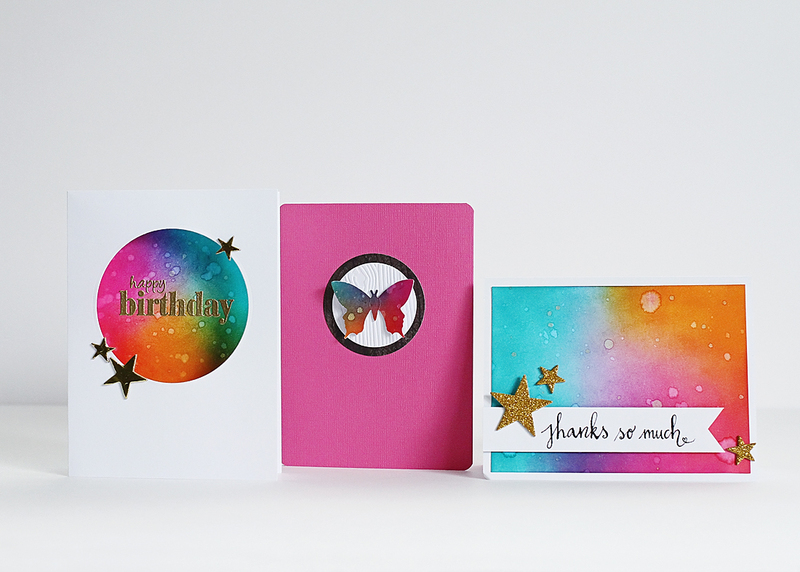 Today, I’m sharing 3 simple cards that I made. 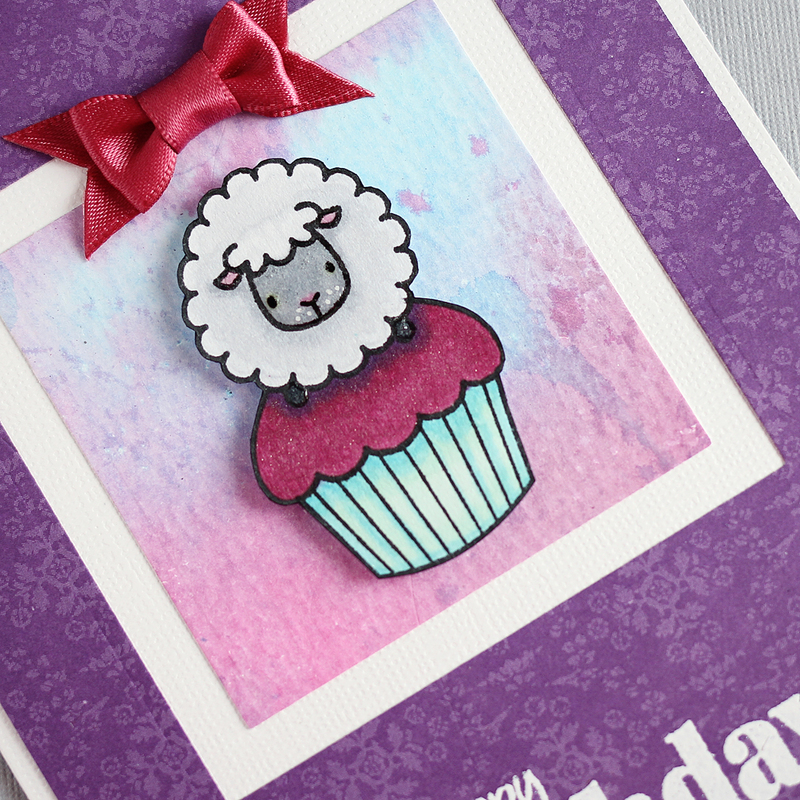 I recently got a Sizzix die cutting machine for my birthday, and I picked up some new Tim Holtz distress ink colors and some Tim Holtz ink blending tools. 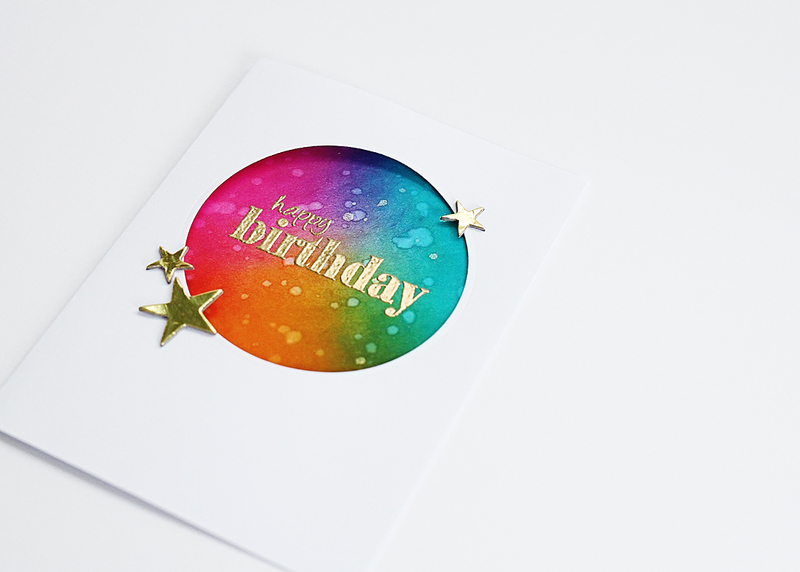 I have also been super inspired by card-making geniuses Jennifer McGuire and Kristina Werner. Supplies: Tim Holtz distress inks in peacock feathers, picked raspberry, and spiced marmalade, Tim Holtz blending tool, the sentiment is my handwriting, and Studio Calico gold glitter stars. Supplies: Sizzix die cutting machine, Spellbinders circle dies, Inkadinkado “Happy Birthday” stamp, Versamark ink, American Crafts Zing embossing powder in gold, Tim Holtz distress inks in peacock feathers, picked raspberry, and spiced marmalade, Tim Holtz blending tool, and Heidi Swapp gold stars. Supplies: The paper studio butterfly punch, Sizzix die cutting machine, Spellbinders circle dies, Tim Holtz distress inks in peacock feathers, picked raspberry, and spiced marmalade, Tim Holtz blending tool, and Heidi Swapp color shine in gold. I really loved working with these inks and the blending tool. 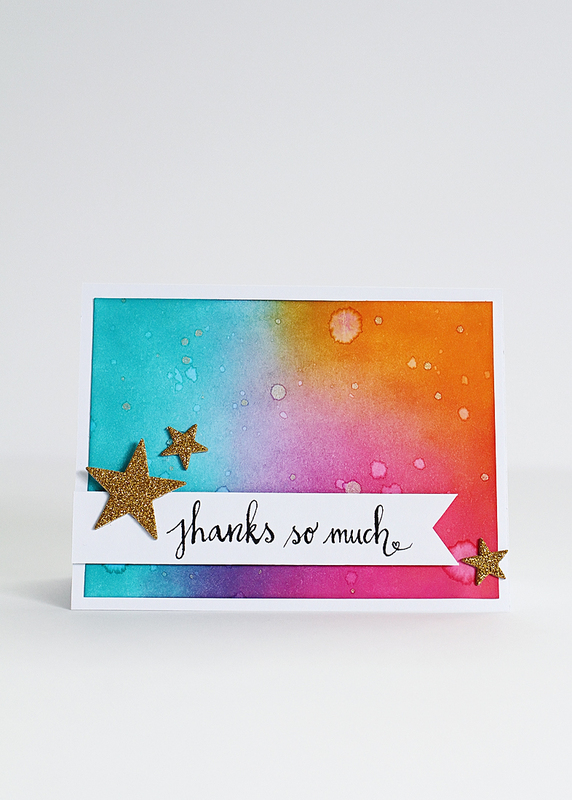 It’s such a cool effect the way the distress ink reacts to water droplets! I finally started scrapbooking our Disney trip. 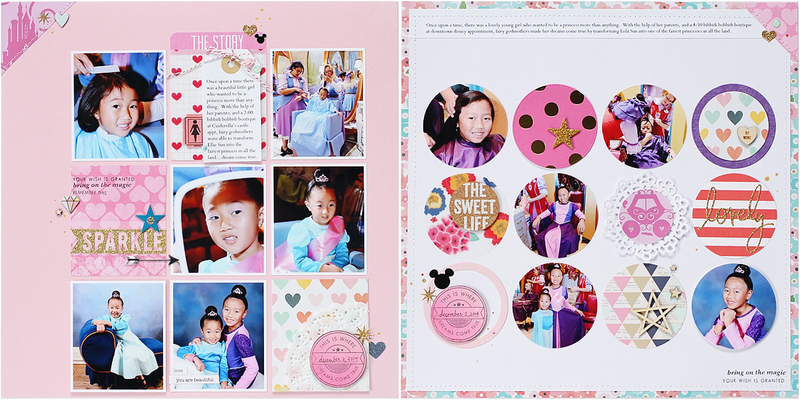 I had included some pictures in my December Daily, but I wanted a few layouts in our normal albums as well. I have 2 layouts to share so far. 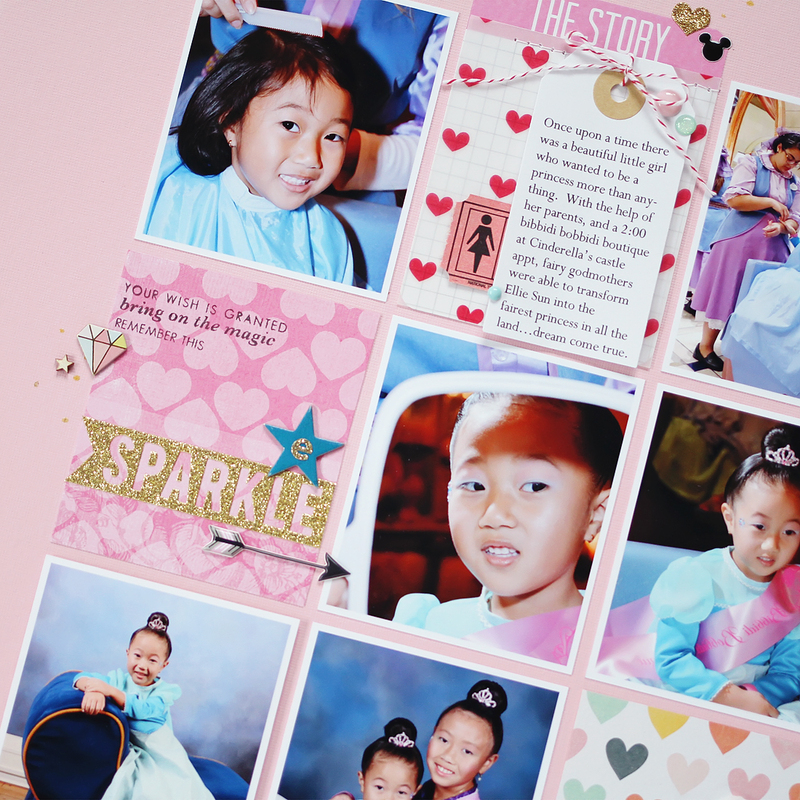 The girls each had bibbidi bobbidi boutique appointments, and I wanted a layout highlighting their appointments for each of my girls’ albums. Since the photos and subject matter were so similar, I used a lot of the same elements in both layouts. 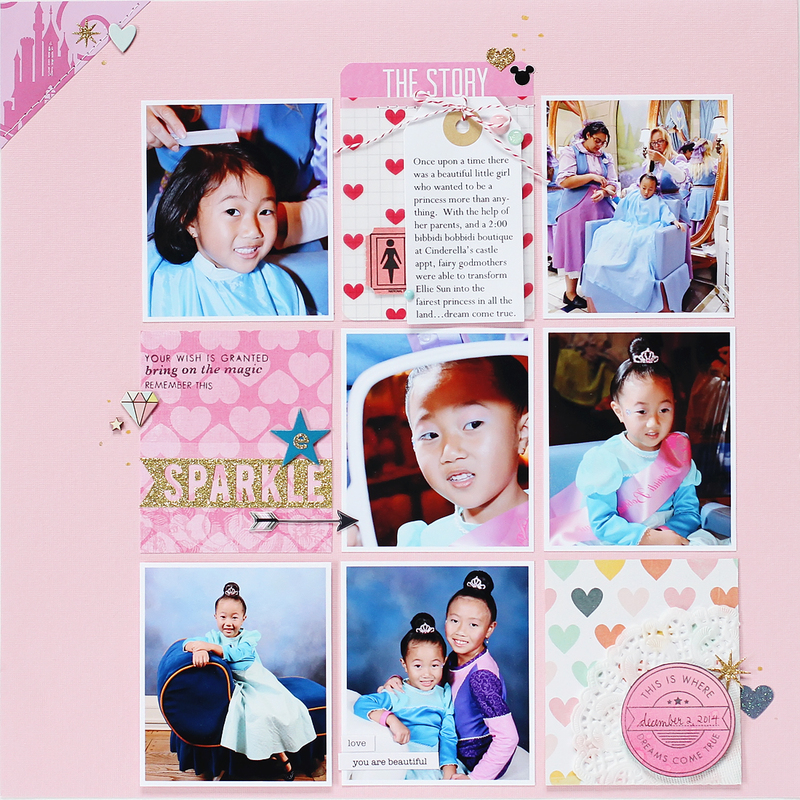 I used my tried and true grid style layout so I could include lots of photos and lots of embellishments: pink, gold, hearts & stars… I didn’t want the layouts to look exactly the same though, so I went with rectangles for E’s layout and circles for L’s layout. I was also super excited to use some stamps that I bought specifically for Disney layouts: Kelly Purkey’s Simply Magic Stamp set found here: http://www.kellypurkey.bigcartel.com/product/simply-magic-stamp-set. 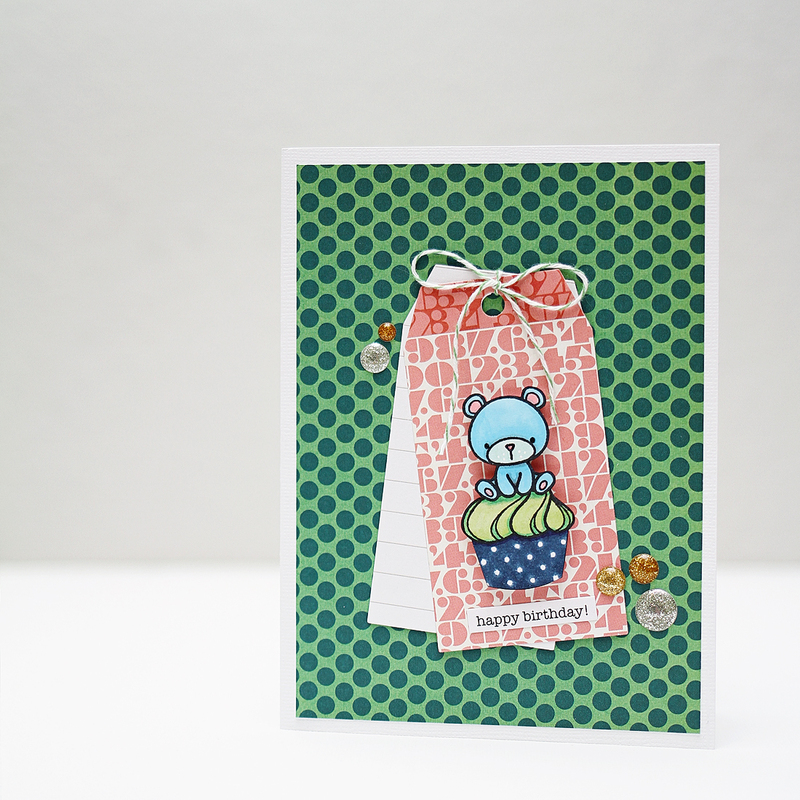 some products used: heidi swapp, teresa collins, studio calico, crate paper, we R memory keepers, MAMBI, and kelly purkey. 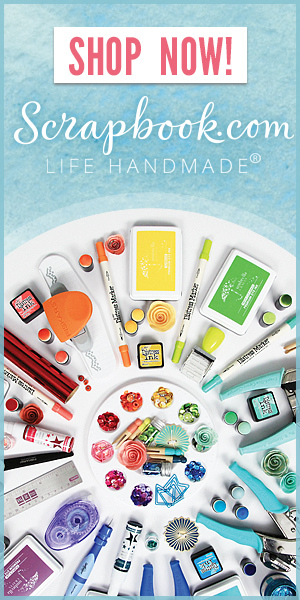 some products used: american crafts, dear lizzy, heidi swapp, studio calico, we R memory keepers, and kelly purkey. Hope you are having a fabulous day! We are battling rainy dreary weather here in our neck of the woods. Hello all! Another month has flown on by! Continuing with my monthly favorites series, here are just a few things I have been loving in February. 1. 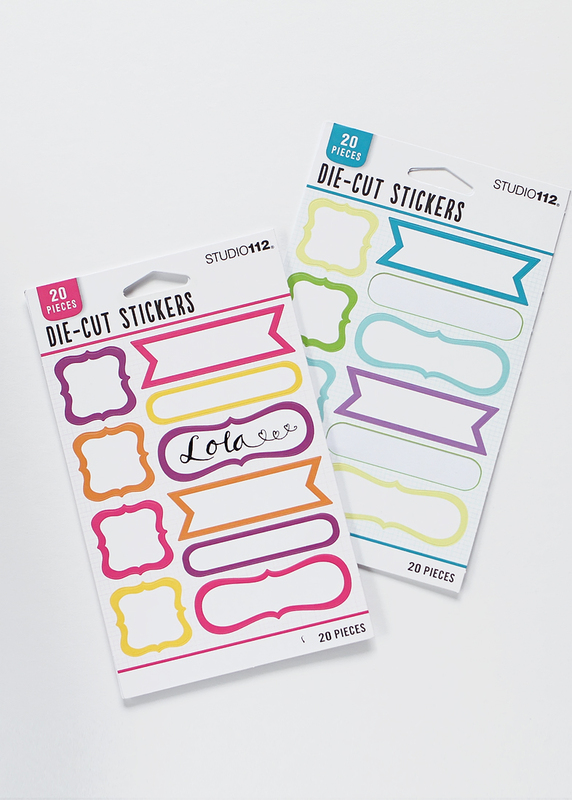 First up are these label stickers that I got at JoAnn. They have been awesome for scrapbooking, and for my new paper hobby planning. They come in several color families, and I believe each pack (2 sheets) were only $1 or so. 2. 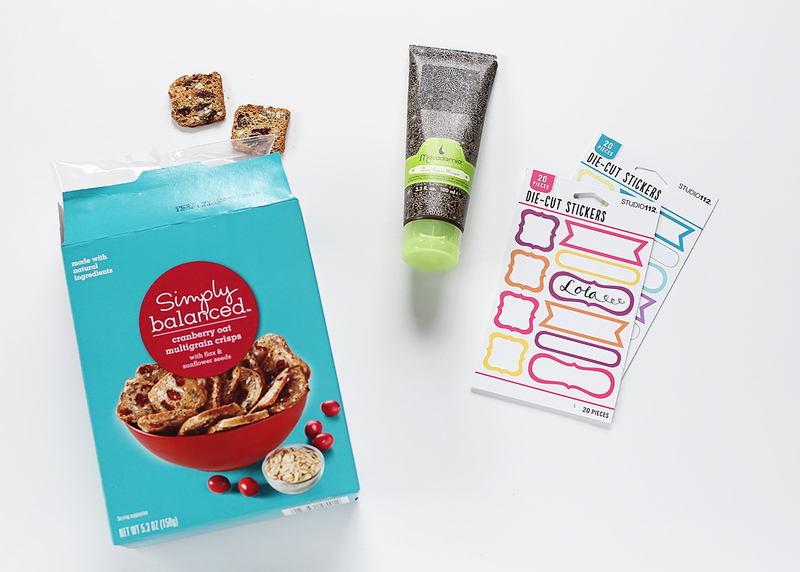 Next up is a hair mask. 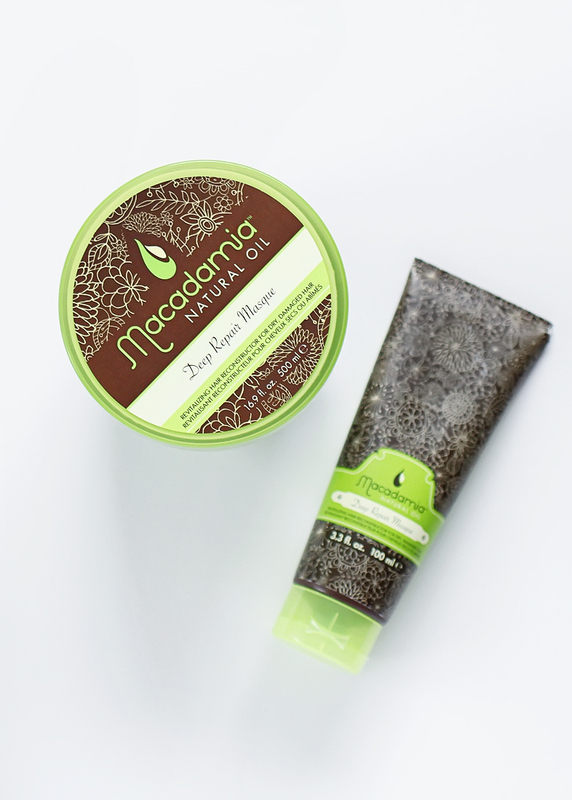 I have heard a lot of good things about the Macadamia deep repair masque, but it is a pretty pricey brand. My hair has been super dry this winter, so when I saw it at TJ Maxx, I scooped up the 3.3 oz tube to try it out. (I got this size for just under $10. I have seen it at other stores for $17.) Needless to say I loved it so much that I went back to get the 16.9 oz tub! 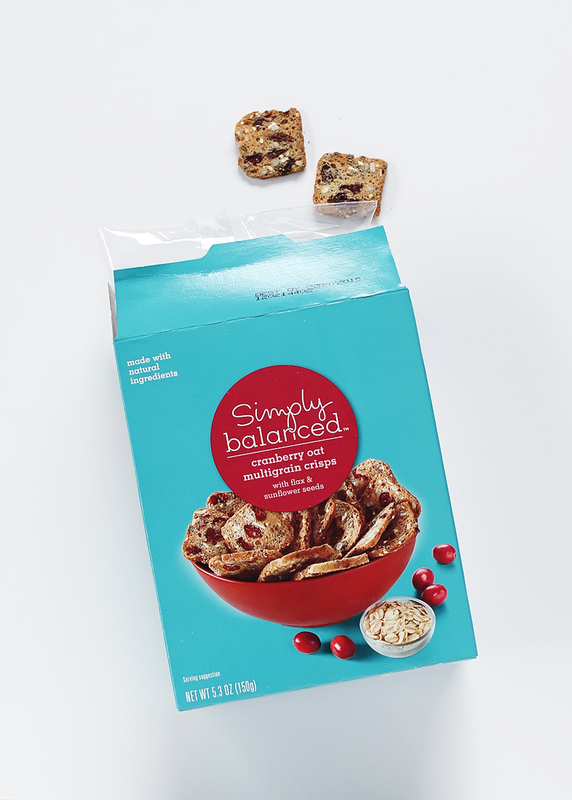 A little goes a long way, it smells really good, and my hair is super soft afterwards! That’s what I’ve been loving lately… I would love to hear what your February favorites are!